Atlantic Canada celebrates the holidays! 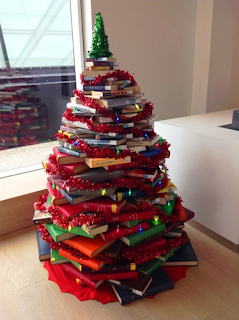 Here are some local holiday-themed books to enjoy over the Christmas break. This informative book covers many of Nova Scotia’s evolving religious, patriotic, and folk holidays, which are constantly blending with other cultures and being reinvented, revived, or forgotten. I enjoyed how the author emphasized that there is no “right” way to celebrate holidays because traditions and celebrations are very personal things. This anthology includes beautiful pictures to entertain both children and adults. Sweet, humourous stories feature a protective Canadian goose, a special little girl and a dollhouse she desperately desires but cannot afford, and a mouse’s Christmas in Prince Edward Island. Also included is a story about a Nova Scotian girl and her uncle choosing the huge Christmas tree that will be sent to Boston that year as an ongoing show of gratitude for the city’s aid after the Halifax Explosion in 1917. There are also many poems and songs that highlight a different part of the holiday: the food, family memories, presents, and the beauty of the natural world. 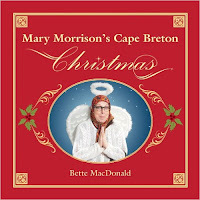 This very funny book allows the beloved Cape Breton character Mary Morrison to give her sage advice for getting through Christmas: avoiding family, making fruitcake that no one will eat, and always keeping a cocktail handy so you can drink your way through the holiday. Mock recipes end in amusing anecdotes like “I cannot, in good conscience, reveal the remaining ingredients for this recipe” (due to the dangers encountered by those who have eaten it in the past). This collection of Christmas stories features snapshots from the author’s life, from his childhood growing up in rural New Brunswick in the 1950s to visiting the Yukon for three months as an adult. It’s fascinating to read about how life has changed since the 1950s—as the author puts it, a time “when life was more innocent, more romantic, and perhaps not so much commercialized.” But Curtis’ stories also reveal how life then was filled with more danger and uncertainty as well, without many of the social programs that support people when they are ill, injured, or laid off from work, all of which put pressure on families during the holidays. In this collection of stories from Cape Breton, the author shares tales about tradition, family, misunderstandings, forgiveness, and the meaning of home. Running through the stories are themes of troubles with money, dysfunctional families, and the joys of friendship and home cooking. I especially enjoyed how each story had an underlying message that love and acceptance are what the Christmas holiday is all about. 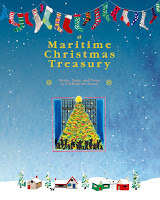 With a preface by former Newfoundland and Labrador premier Danny Williams, this book contains stories from Bruce Templeton, the man who was a real-life Santa Claus to over 1,000 children in the province for 33 years. Each chapter contains a tricky question that a child asked him as Santa and the lessons it taught him, all of which are touching and profound, funny, or heartbreaking, like the children he visited in the hospital who later passed away or children coming from sad family situations. I was amazed at the planning and effort it takes on the part of so many helper elves and Santa himself to create a magical experience in children’s lives.